When estate planning for your family’s future, don’t forget that extended family members may need to change their plans too if they want to help your child with special needs. 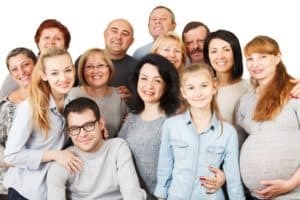 This article described some common situations that arise when well-meaning relatives want to include your child with special needs in their estate plans and how to redirect these efforts to best benefit your child. Often, relatives want to leave the child with special needs bequests in their wills or make gifts to them. Bequests made directly to a child with special needs can be extremely problematic for government benefits eligibility. If the will leaves the child with special needs a sum of money or a piece of property, or if the will leaves money to a support trust, the child could become ineligible for government. The government takes into account inheritances and other resources (including traditional support trusts that do not have special needs trust language in them) when determining eligibility. Lifetime gifts result in similar problems. The recipient may have adverse tax consequences, and the child may lose benefits eligibility. Even if the bequest goes to the child’s parents, similar problems can occasionally arise. If the person making the bequest dies when the child is under 18, the parents’ income may increase to the point that the child is not eligible for government programs. Making bequests and gifts to the parents runs the risks that the parents will have creditors who access the funds, that the parents divorce, or that the child otherwise never sees the benefit of the kind gifts from relatives. Gifts and bequests without careful planning can cause major problems for the recipient and the family of the child with special needs. So, how can a well-meaning, generous relative help out? The best way is through gifts or bequests to a third party special needs trust (SNT) – whether pooled or individual. Advance planning is required to make these contributions to a trust. Relatives may want to seek legal advice to ensure that their estate plans line up with your own and maximize benefit to the family member with special needs.